One of my distant relatives, who stays here is a fabulous cook. She is a treasure house of authentic South Canara recipes. Here is one such simple rasam I learnt from her recently. If you go gaga over the rasam then you MUST try this. It is very simple & extremely tasty. This is a great substitute for normal rasam for those who are advised to be low on protein in take. This is a rasam without lentils/dal. De-skin the potato.Pressure cook the carrot, tomatoes & potato for 2-3 whistles.Allow them to cool. Meantime, add a cup of water to a saucepan. Add tamarind, salt, jaggery to the water & boil it. 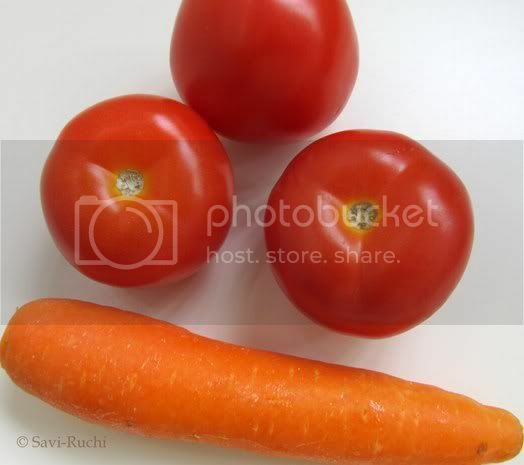 Grind the carrot, tomato, potato to a smooth paste. Add this paste to the boiling water. Stir well & allow it to boil. Add the rasam powder & boil again on medium flame. Prepare the tempering. Add oil in a small pan. When oil is hot, add mustard seeds. Follow it by asafoetida & curry leaves. When leaves become crisp, turn off the heat & pour the tempering over the rasam prepared. 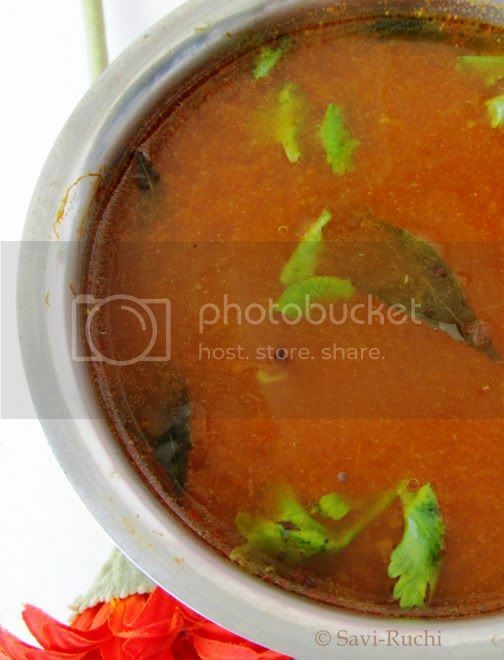 Stir well & serve the rasam hot with steamed rice. If you prefer your rasam thin & watery, avoid adding potatoes. I mostly avoid potatoes as we prefer watery rasam. If you don't have home made rasam powder, use MTR rasam powder. 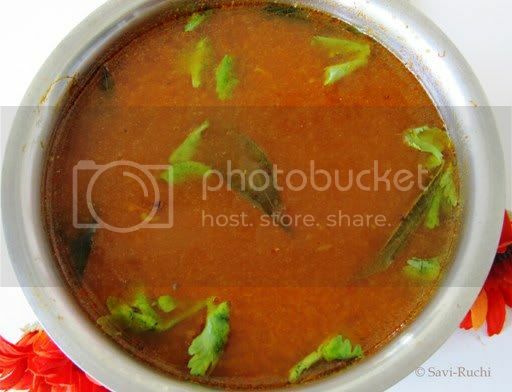 An appetizing & mouthwatering rasam!! Very delicious and comforting rasam, wat a colour..
lovely and innovative and yummy rasam.